And what are some of the driving factors behind the NFA’s success? @koertdebeuf: “We are the party of and for women and young people“: Mahmud Gebril on the anniversary of his NFA. And it works (not only) in Libya! @Eljarh: #Jibril: NFA counts on #Libya’s youth to carry on driving & protecting their revolution from being hijacked by any one group. Read the rest Becker’s full report from his visit to Libya here. 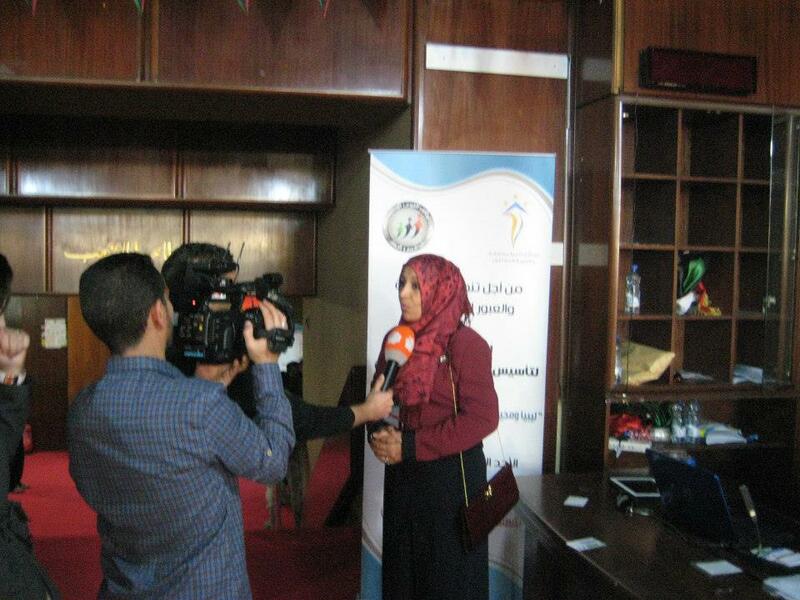 The NFA prides itself in promoting female leaders within its political coalition. 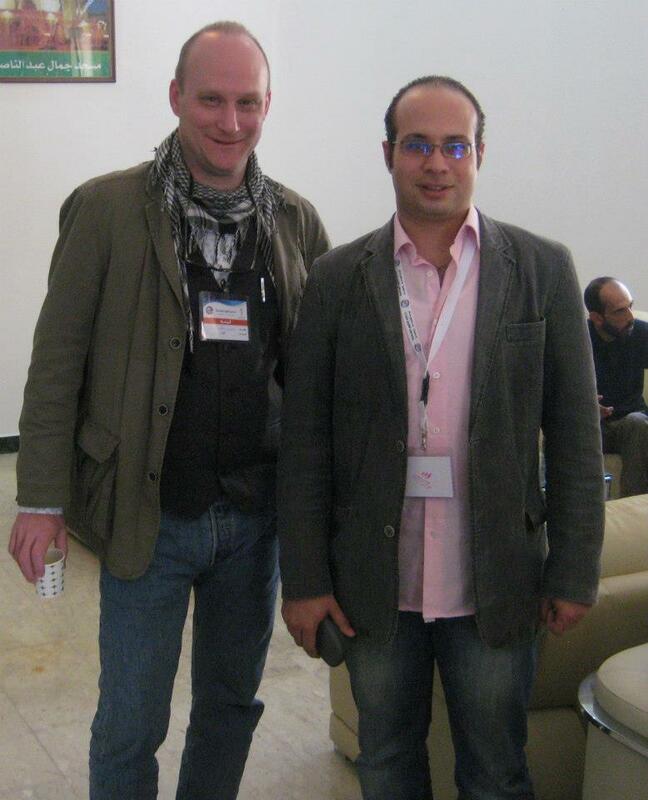 Tanzeem Group organizer Robert Becker in Tripoli with Ahmed Maher, co-founder of Egypt’s April 6 Youth Movement.